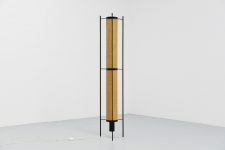 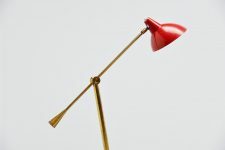 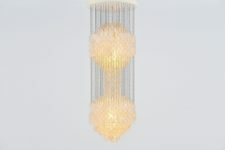 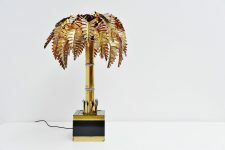 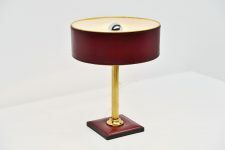 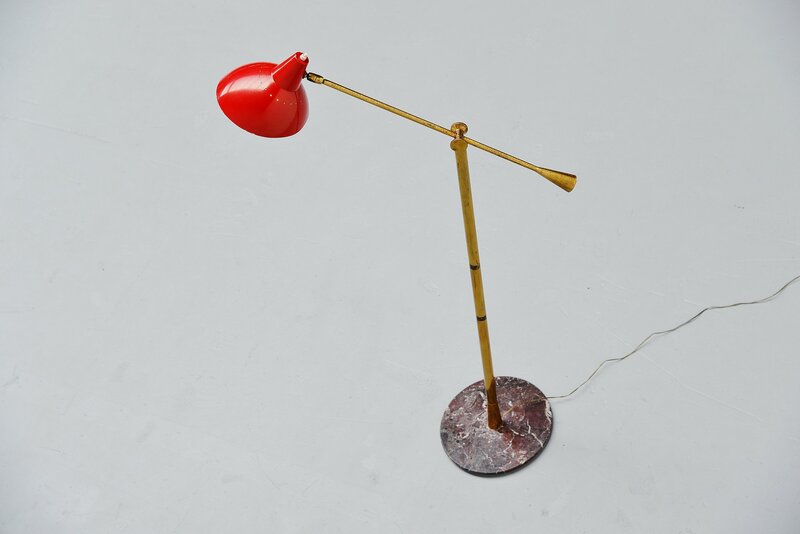 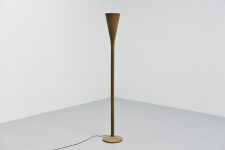 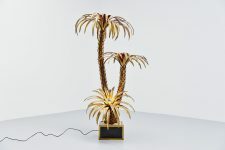 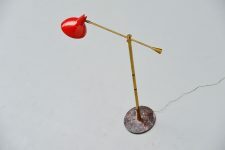 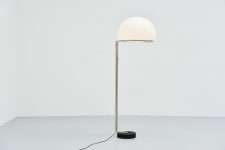 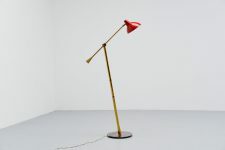 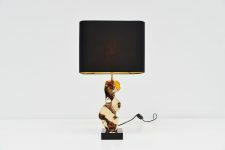 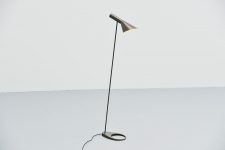 Very nice and typical Italian shaped floor lamp by Stilnovo, Italy 1950. 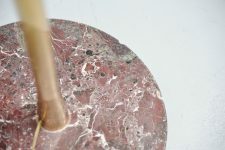 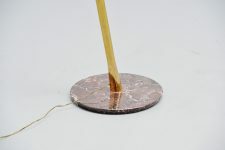 The base has a round brown marble base and a brass arm with weight for the balance. The shade is originally red painted. 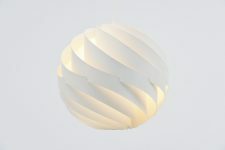 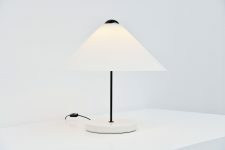 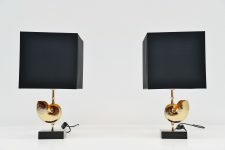 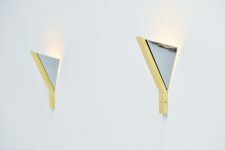 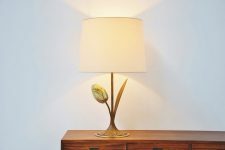 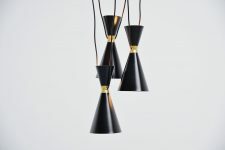 This lamp can be used as a reading lamp easily and looks amazing. 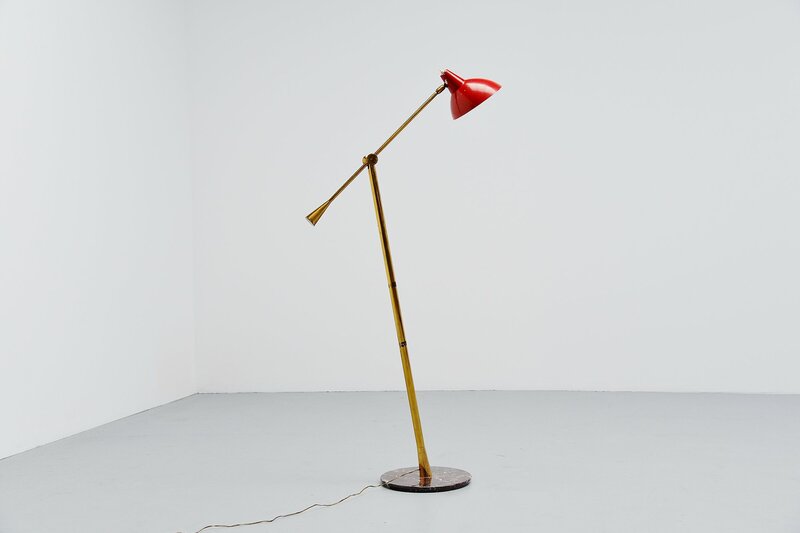 Completely original condition and fully functional. 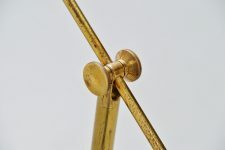 The brass has a nice patina from age and usage, if wanted this can be cleaned to shiny brass.